With all the hoopla surrounding music festivals and their respective fashion this season, we thought we’d take a look back to where it all started. And with so many (seemingly random) themes popping up — like the apparent Bitcoin Music Festival that’s scheduled to take NYC by storm in early May — it’s nice to remember the cultural impact that these communal concerts once had. So, we’re kicking off your week with an homage to the true spirit of the festival scene with licks from the Monterey Pop Festival, Woodstock, and the Newport Folk Festival. One listen to our punchy playlist while you plan your list of fashionable festival must-haves and we’re sure you’ll agree that no matter how much time has passed, nothing can trump the trailblazers. Brush up on your festival history below, then rock your week with our playlist. The Newport Folk Festival: If you want to talk festivals that gave performers a mainstream venue for their voices — in much the same way that South by Southwest has built a reputation for spotlighting surfacing talent — this was the Newport Folk Festival during the ’60s. Most notably, the festival gave rise to Joan Baez, who performed at the first iteration of the show in ’59. But Newport also hosted blues, country, and bluegrass artists every year, right up until it closed shop in ’71 for over a decade. While some of these songs are more mellow than others on our playlist, there’s something revolutionary about the musicians drawn to this event — even today the bill is varied, welcoming artists from flame-locked songstress Neko Case to original picker Pokey LaFarge and indie hard-hitters Lucius. Today, even when you take its hiatus into account, it remains one of the longest running festivals. 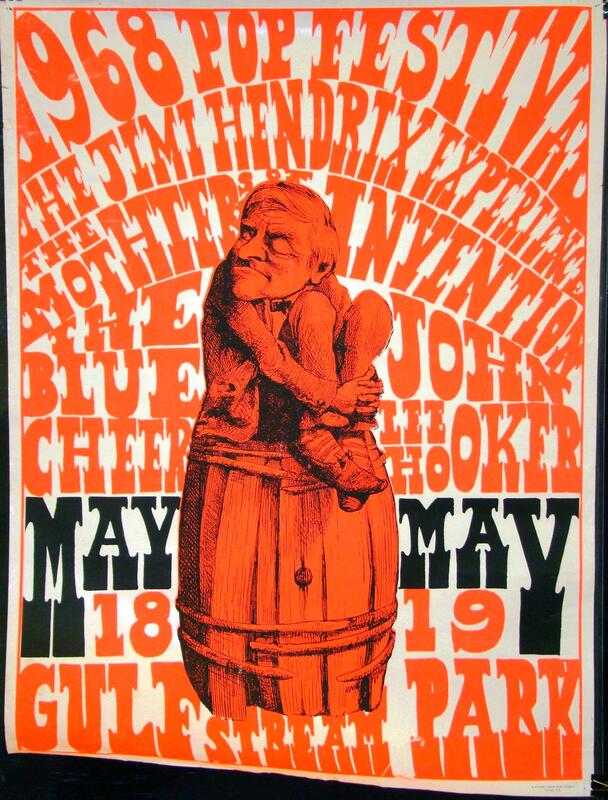 Monterey Pop Festival: Oh, to have been at the Monterey Pop Festival in the summer of ’67. It’s something I actually think about often. Hitting the bay area at the height of the hippie movement, this concert featured The Who, The Mamas and the Papas, Janis, Jimi — and his infamous guitar-fire-setting incident — and some seriously enviable bohemian fashions. The brainchild of John Phillips and co., this celebration of up-and-coming artists was built on the premise that rock deserved its day in the sun as much as any other genre. The story goes that nearly every performer in attendance went unpaid during this charity concert that mushroomed into the tens of thousands of attendees (talk about sharing the love). Monterey was special as a one-off event that introduced many from the peace and love generation to the now legendary bands who later went on to Woodstock fame. Even with the VW-busload of challenges brought by the event — and we’re not talking a shortage of artisanal cotton candy at a Coachella snack bar — it’s fair to say that local officials felt the pressure to minimize chaos. Thanks to them, now when we think of Woodstock what comes to mind is more Hendrix in his boss white-and-turquoise fringed jacket as he smoked the national anthem, or the impromptu spelling bee between the crowd and Country Joe and the Fish, than traffic and madness. + Feeling inspired by our look back at these amazing happenings? Well, before you hit the road for your next field day concert, don’t forget to plug into our playlist and discover even more performances from the Summer of Love and beyond. And if you have a favorite festival performance that we’ve just gotta hear, be sure to share it in the comments below!